We have been a leader in working with MdDS patients since 2009. Mal de Debarquement Syndrome is a rare and debilitating condition that often shows up after taking a cruise but can occur from other modes of transportation and has even been reported to occur spontaneously. The most common story we hear from patients is "I've been living like this for months/years, have been to all kinds of doctors and don't know what else to do". We do not claim to have discovered a cure for this condition, since the cause has not been medically established. However, we have had very good results overall in treating this condition, helping our patients to get back to enjoying the lives they left before MdDS took over. We treat patients from all over the United States and have recently begun working with patients from other countries. Our prices are lower than most of our peers offering the same service and we have all the latest technology and equipment for both diagnostics and treatment. Our rehabilitation providers are not new however, having spent years in training to become world class vestibular specialists, all with advanced degrees, and are absolutely wonderful at what they do. Dr. Kim Fox, DPT has personally trained each and every one of our providers and is on site daily along with Kate, our therapy dog. It's no secret that some patients really come to us, just to see Kate. If you are traveling from out of town, we have a visitor's guide to help you plan your trip. We are close to the Asheville Regional Airport (AVL) and within a half mile of hotels, shopping, restaurants, and entertainment. We are also on a main bus route. Asheville, NC is well knows for the historic Biltmore House (the largest private home in the United States), the prestigious Grove Park Inn, and the highest mountains east of the Mississippi River. People ask us why we built such a great facility in the middle of the Blue Ridge Mountains. The answer is simple, because we live here and it's beautiful. If you're looking to combine healthcare with a little rest and recreation, you've found the perfect place. Our patients are seen one at a time and our staff is ready to help you in any way they can. Our brand new Natus (NeuroCom) Computerized Dynamic Posturography (CDP) machine has been delivered and is now in use. We also purchased the inVision module because we believe you deserve the best in diagnostic testing as well as treatment. If you are having balance or conditions related to dizziness, come see us! We are the most experienced and most equipped balance & vestibular center in the region. Balance and dizziness is all we do and we do it every day. Western Carolina Physical Therapy is pleased to announce that ICS Impulse testing is now available at the Asheville Balance & Vestibular Center. ICS Impulse® is a customizable solution. Providers can choose between Video Frenzel, Video Head Impulse with age based normative data, Positional and Oculomotor – or choose all four. It is a very cool and very sleek piece of equipment. To learn more about ICS Impulse, watch the video below. 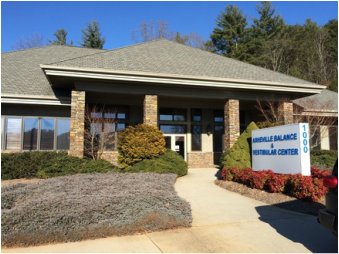 Asheville Balance & Vestibular Center Now Open! We do not require a referral and most insurances are accepted. We also offer Same Day Payment discounts! It is important to know that Vestibular Disorders such as BPPV (a cause of vertigo) must be properly addressed before balance treatment can be effective. It is not uncommon to hear that patients have been prescribed medications like Meclizine to reduce their motion sickness or vertigo. While this does treat the symptoms (sometimes), it does not fix the problem. The problem can be caused by a number of factors. The most common of which, is when calcium carbonate crystals called otoconia have fallen into one or several of the semicircular canals. Techniques to put the otoconia back in place are often referred to as canalith repositioning maneuvers. It is imperative that the offending canal be correctly identified in order to choose the correct treatment technique and to have the most prompt and effective treatment.Successful resolution of symptoms can often be achieved in 1-3 treatments but largely depends on the experience of the clinician’s skills. Asheville Balance & Vestibular Center uses Frenzel Video Goggles to record eye movements in both room light (with fixation) and in total darkness (without fixation).Abnormal eye movements, which are perceived by the patient as spinning (vertigo) or falling, can be caused by the brain, the inner ear or connections between the two. Some disorders do not require the use of video goggles to diagnose, if you have a skilled and knowledgeable clinician evaluating you. However, evaluating eye movements under Frenzel Video Goggles often enables a more accurate diagnosis to be reached.This is a highly specialized field that takes serious education and experience to become proficient. Before choosing a provider to evaluate and treat your vertigo or dizziness, ensure you have chosen a qualified provider who is knowledgeable in the field, preferably who has specialized in treating vertigo and who has several years of experience working with vestibular patients. In addition, when necessary, the right equipment being used can also save you time and money! Common responses from our patients are, "I can't believe you cured me! I've spent over 6 months on medication that didn’t work” or “I was previously told that I just had to live with it and that this sometimes happens with getting older.” Some vestibular disorders are easily treatable when they have been properly diagnosed. We are working to better educate people regarding the treatment process and how important it is to be properly diagnosed by someone who has the right education and experience. "When seeking a specialist to diagnose and treat your vestibular disorder, inquire if they use Frenzel Video Goggles. If they don’t even know what they are, run the other direction. 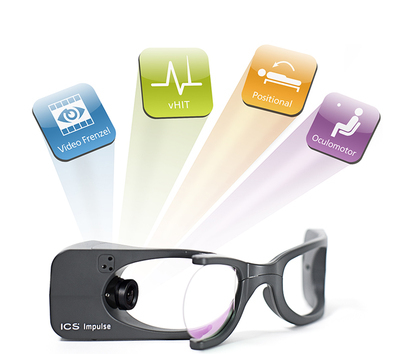 Frenzel Video Goggles are a valuable tool to aid in correctly diagnosing your problem. Additionally, they are instrumental in educating you about your condition. It is much easier to understand why you are experiencing symptoms once you can actually see the problem." Patients treated at the Asheville Balance & Vestibular Center can feel confident that they have chosen a quality care provider. Each of our physical therapist who treats Vestibular Disorders has been mentored by Dr. Kim Fox, PT, DPT who has the education, experience, and reputation for quality care. She is only provider in the area that is a member of the Vestibular Disorders Association (VEDA) and has a certificate in advanced vestibular rehabilitation therapy. A question and answer follow up session will be held on April 17th from 1:30pm - 2:15pm at the Cheshire Fitness Club. If you attended the recent free balance testing and fall risk assessment, this is an opportunity to learn more about what your scores mean. The public is also welcome to attend and ask questions pertaining to balance and falls. In support of the Vestibular Disorders Association "Defeat Dizziness" campaign during Balance Awareness Week, the Asheville Balance & Vestibular Center will be providing free balance screenings. Call BEFORE you fall. Schedule an appointment today by calling (828) 298-0493.